Well, the calendar keeps clicking along and the holidays are quickly upon us. Chances are the games you're backing today on Kickstarter won't be under your tree this year, but that doesn't mean there aren't any worth taking a look at! So with an eye to the future we bring you this week's Kickstarter Weekly! Enjoy! Utilizing the zany universe of the web comic Dr. McNinja, Legendary showdown claims to be a fun, light, and hilarious card battle game. The game was designed my McNinja Master Christopher Hastings, who also wrote some Marvel comic, or something... Anyway, this campaign is FUNDED, or at least it will be once it comes to completion. They've already destroyed 10, yes TEN stretch goals, and could hit even more by the time everything is said and done. I find the paper-craft genre interesting. It's like Pinterest started a board game company and tells you how to make the game but doesn't necessarily sell you the game. I don't know that I like it, but it's interesting. Well the Australian-based Adam Walker Studio has created a paper-craft game that's right up my alley. Viking Horde looks like a lot of fun, and some of the photos of the ships look really sharp! The thing that makes me nervous is the price point for ships that are printed and shipped to you is pretty high, and they're... well, paper. $10 UAD gets you PnP files, $20 UAD get's you 1 ship and files but you have to jump to $50 UAD to get 4 ships plus files. The campaign ends Dec. 12 and you can find out all the details here! Not much to say about this that the title doesn't already reveal! A futuristic spin on games like Dune and Diplomacy, the game looks to involve a lot of jockeying for position and power plays. There are lots of bits and pieces in the box, according to photos on the campaign page, with very cool stylized artwork to boot. It will run you $75 for a base copy of the game!!! The campaign ends Nov. 26 take a look at it, right here! We wrote about this game a few months ago, and their first attempt to get it to market through Kickstarter. 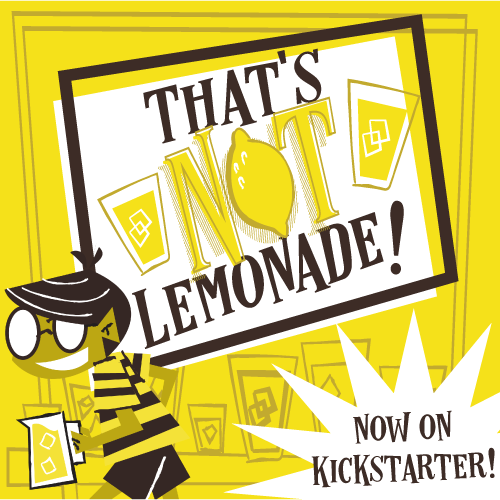 There were some considerable bumps in the road for the title, but it's been rebooted and is so very close to funding! The King's Armory is a board game version of all your favorite Tower Defense type mobile games. Has a bunch of components and massive replayability. You can grab a copy of the base game for $50. The campaign ends Nov. 28, and you can find it here! Thanks for reading, don't forget to enter our Pixel Lincoln contest! And most of all, don't forget to subscribe over on the right! We'll see you on the interwebs, Facebook, Twitter, Instagram, YouTube and our Podcast!